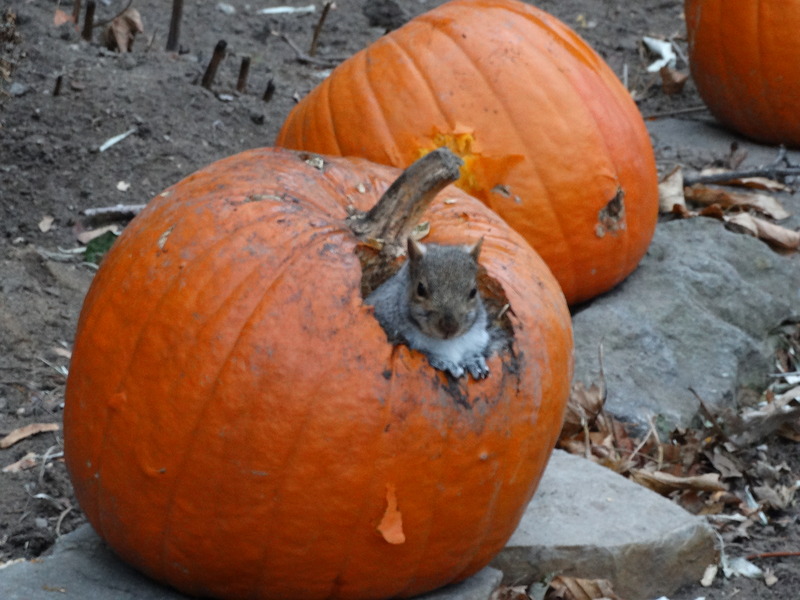 A squirrel looking “quite at home” inside a pumpkin on Melville Avenue. 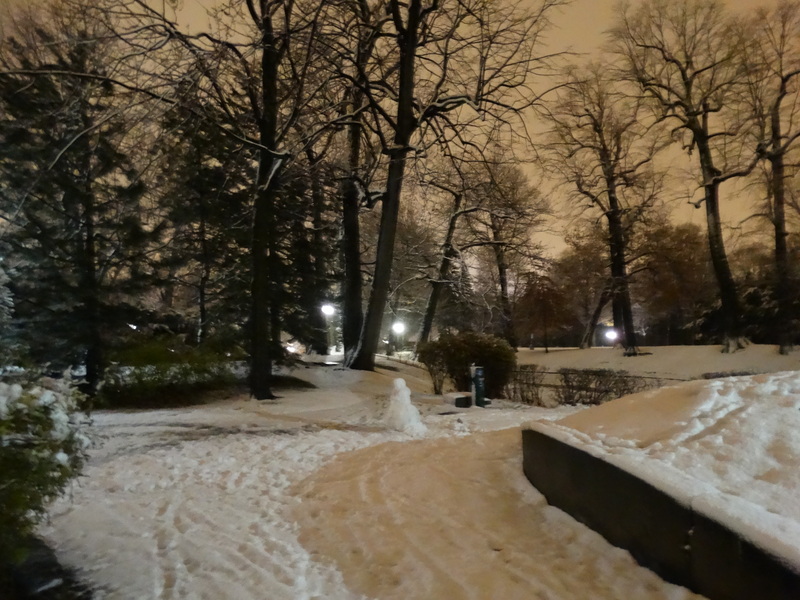 The days are shorter; however, there is a “magical” quality of the park in the evenings. 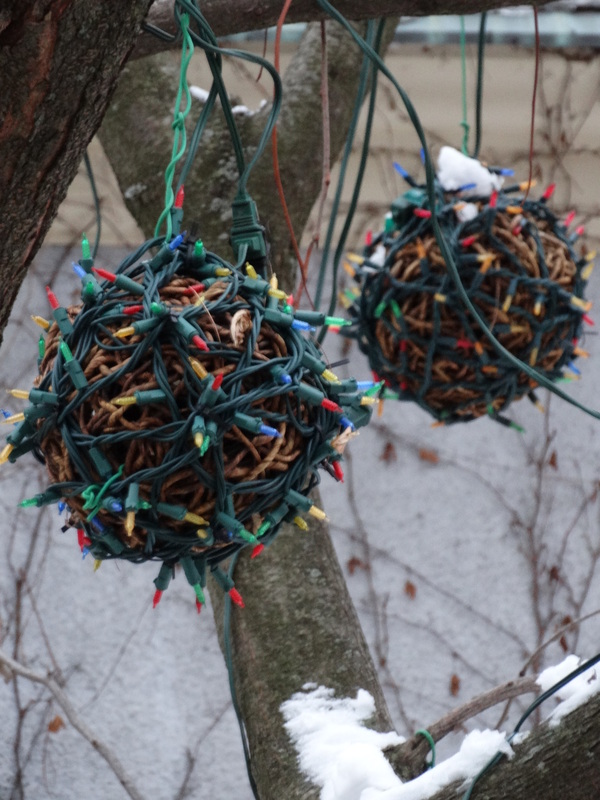 It’s quite remarkable that these trees are decorated in this fashion. The City purchased the grounds, in 1968, that contained a wonderful garden as a “tourist attraction”. Montreal tour buses used to clog this narrow road to view the Japanese pagoda as well as the flowers and shrubs collected, over the years, by the Campbell family. 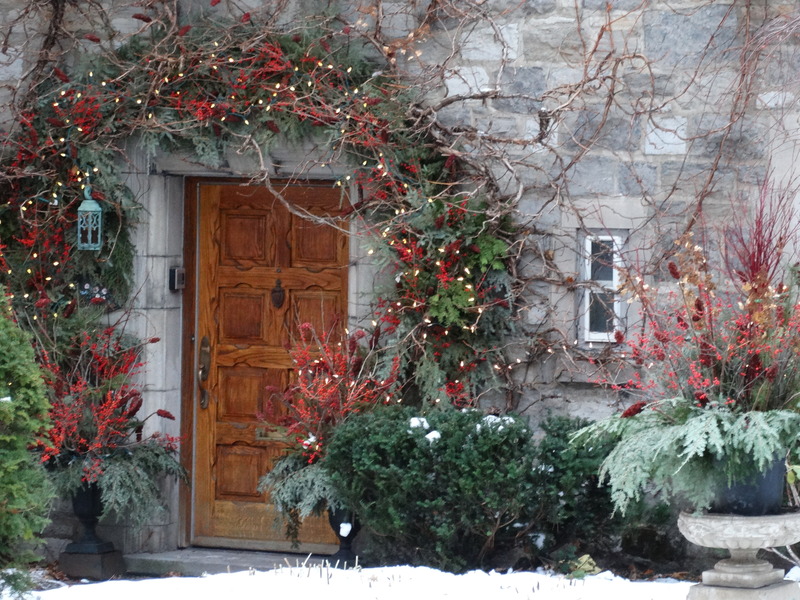 By 1978, the City couldn’t justify the cost of the garden’s annual upkeep (approx. $6,000) and sold the land to private developers. 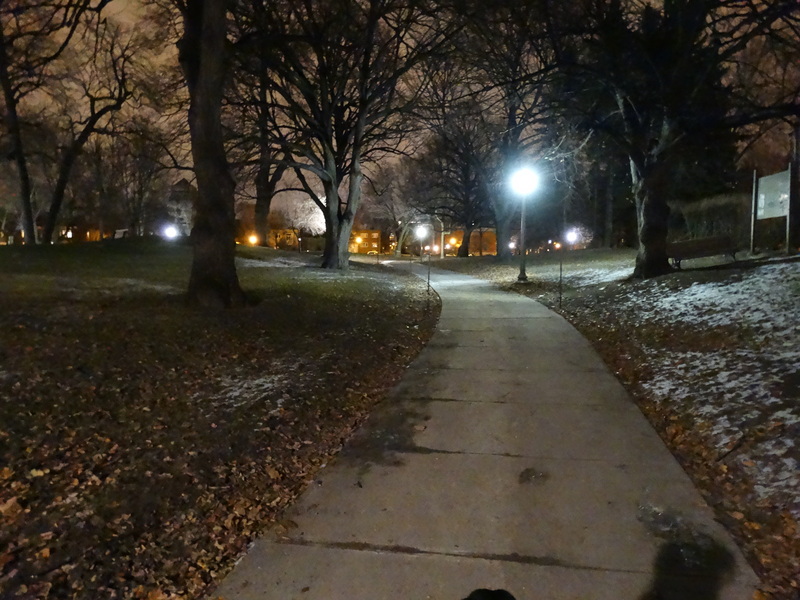 “So it begins!” The first snowfall! 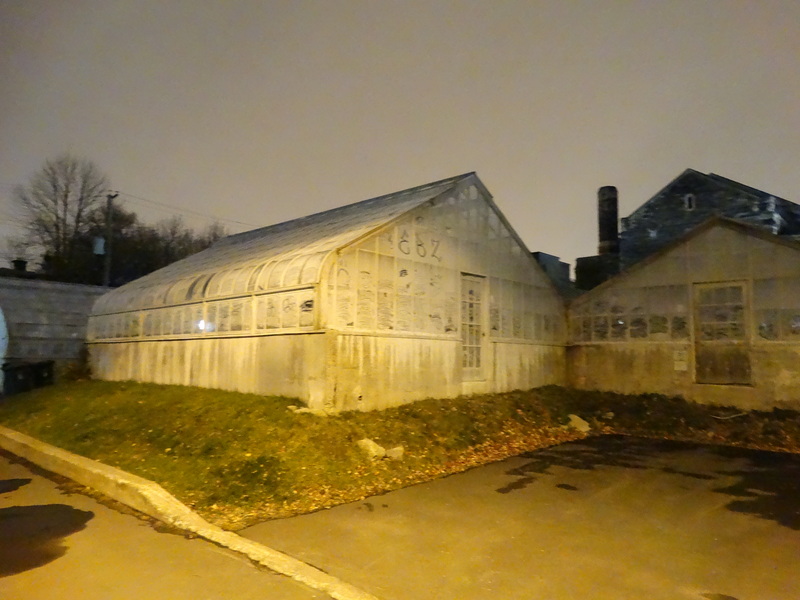 Westmount’s Green Houses on an early autumn evening. 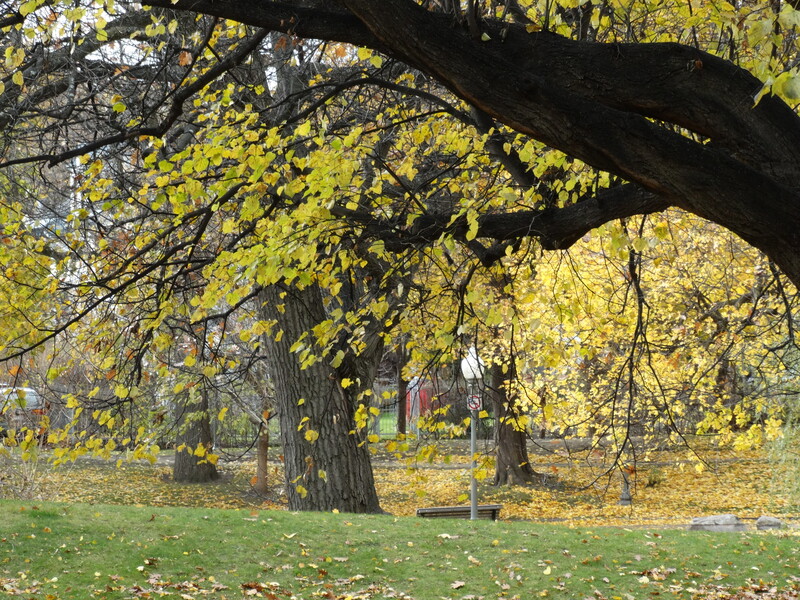 Westmount Park – fall colours. 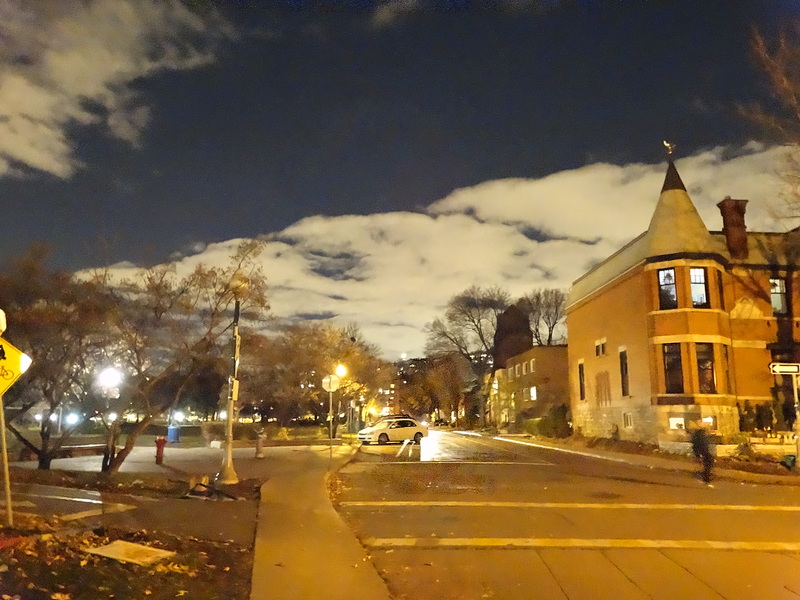 Fall evening on Melville Avenue. 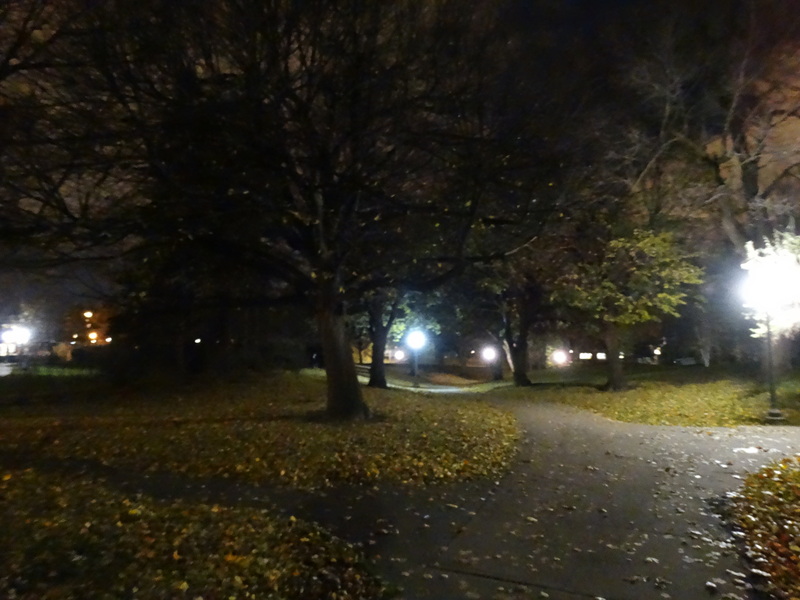 Fall evening in Westmount Park.